26.04.2014 - Batam. Nongsa. 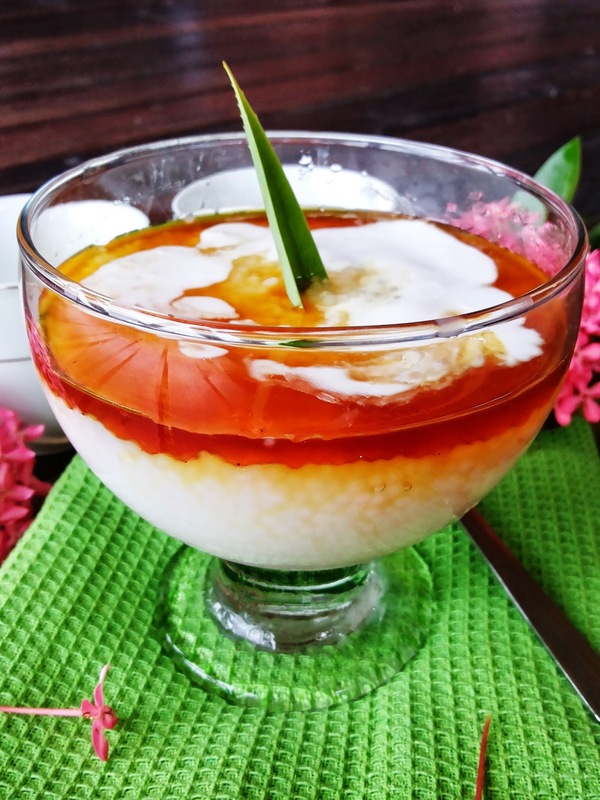 Oooh.. Im craving for this rich and yummy sago gula melaka pudding. 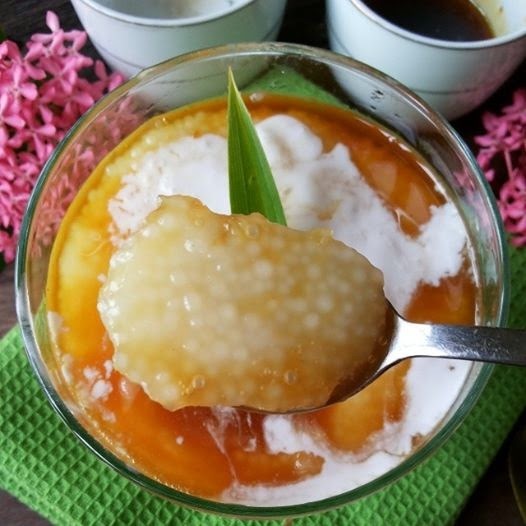 ive made the sago pudding overnight and into the fridge and the next day ready to eat! 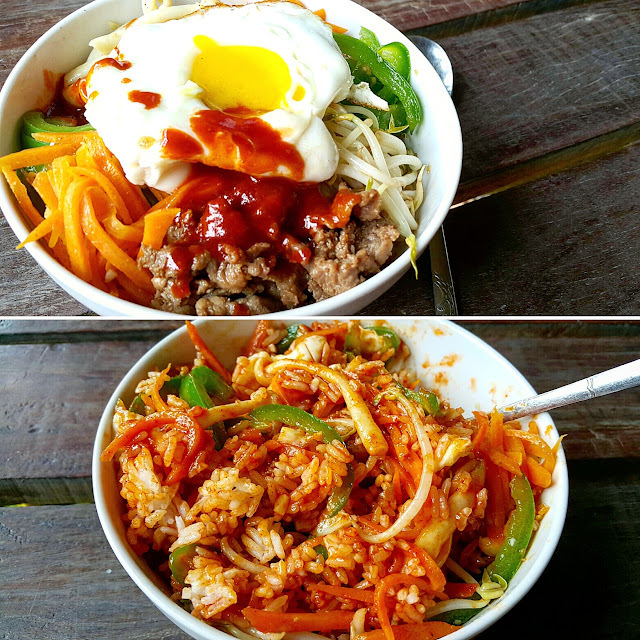 simply easy and delicious, anyone can make this at home. In a pot, add sago and water. Cook sago on low fire. Keep stirring so sago don't clump or burn. Cook sago till translucent. Pour sago into a strainer and rinse off excess starch in running cold water. 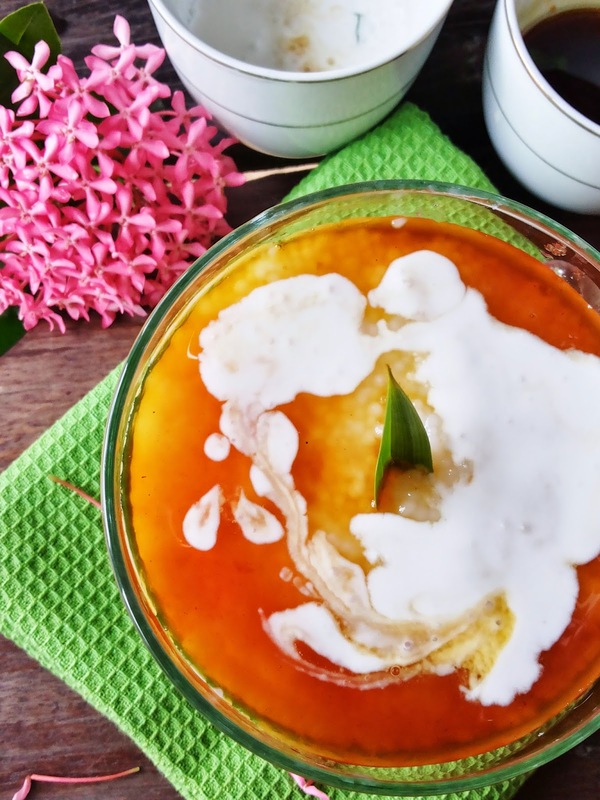 Pour into small dessert bowls in which you’ll serve your dessert. This is to avoid having to transfer it to a serving bowl. You can also put it in muffin tray/small bowls. Refrigerate for until set in an hour or over night. 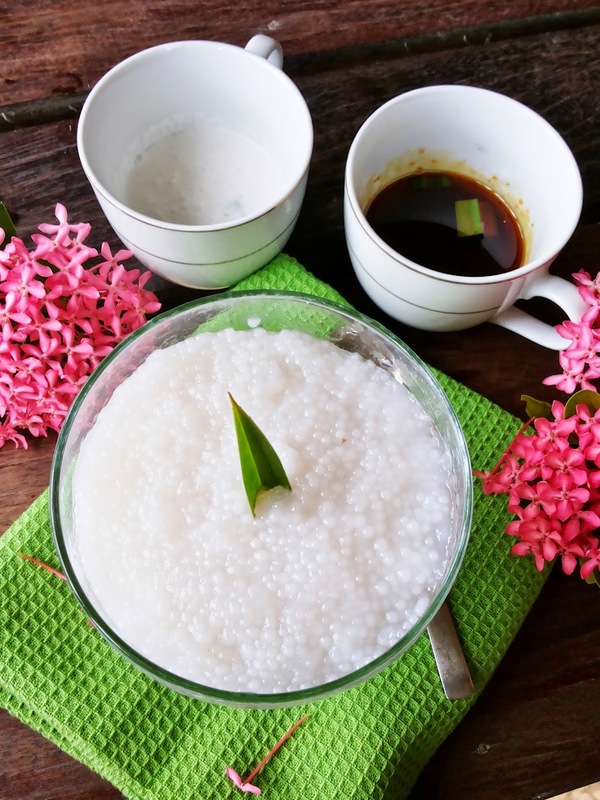 In a saucepan, pour in coconut milk, pandan leaves and salt. Boil in low fire until it bubbles. Stir constantly. Set aside to cool. In another pot, melt palm sugar and three tablespoon of water on low fire and set aside to cool. 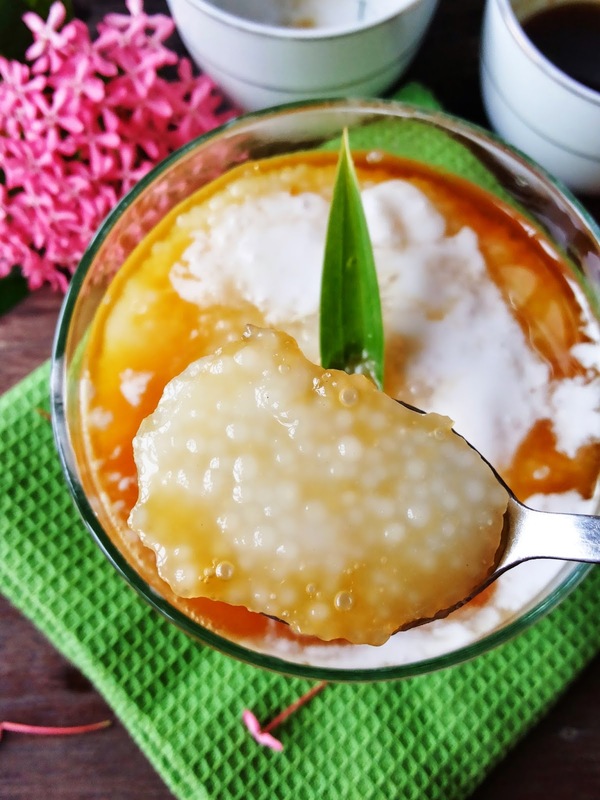 Serve chilled Sago Pudding with palm sugar syrup and coconut milk.